[Review] Prelab Toning Peeling Tap | The Broke Asian. Hello! 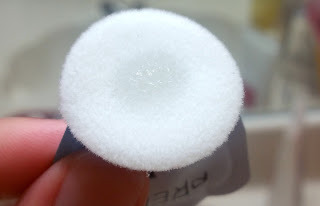 I wanted to do a quick review for the Prelab Toning Peeling Tap ($20) that I received from my Beauteque BB Bag last month. When I first saw this container, I was automatically drawn to it just by pure curiosity. I got even more excited when I saw the word "peeling" on it. I have a wee bit of an obsession with peels and exfoliants. Upon further inspection, I found out that this cylinder has 15 individual peeling taps inside. (Taken from Beauteque) The ultra soft peeling tap is the first step skincare product that takes care of dead skin cells with out irritation, making skin moisturized and smooth. A uniquely-packaged highly-concentrated essence that deeply cleanses, moisturizes and exfoliates the skin to give a youthful look. This essence is contained in a small packet with a soft, cotton tip good for a single usage which makes it a perfect to take on the go. It contains several natural ingredients that deeply penetrates the skin to remove dead skin and impurities. It also has a dewy and moist finish with a non greasy formula. It leaves the skin instantly glowing and youthful! "Slightly press the pouch in the direction of the arrow on the bottom to discharge the content into the sponge. Apply on the face in a wiping motion and light pat to promote absorption." To be honest, I ignored the instructions to "slightly press" and I just squeezed the entire packet as hard as I could until I saw something come out. And surprisingly, the contents slowly came out. This is good because you can concentrate on one section of your face little by little while continuously squeezing out a little bit of essence with each section of your face. It states that this is the "first step to skincare", so I applied it right after cleansing my face. I let it get absorbed into my skin for about 10 minutes, and toned right after. Water, Methlypropandeiol, Glycerin, Glycereth-26, Dipropylene Glycol, Butylene Glycol, Bromelain, Maltodextrin, Papain, Sodium Metabisulfite, Sodium Hyaluronate, Melissa Officinalis Leaf Extract, Nelumbo Nucifera Flower Extract, Aloe Barbadensis Leaf Extract, Tea Tree Left Extract,Lemon Fruit Extract, Kiwi Fruit Extract, Origanum Vulgare Leaf Extract, Chamaecyparis Obtusa Leaf Extract, Willow Bark Extract, Soybean Ferment Extract, Portulaca Oleracea Extract, Cinnamomum Cassia Bark Extract, Scutellaria Baicalensis Root Extract, Apple Fruit Water, Tuber Magnatum Extract, Bis-PEG-18 Methyl Ether Dimethyl Silane, PEG-60 Hydrogenated Castor Oil, Allantoin, Carbomer, Tromethamine, Sodium Benzoate, Citric Acid, Hydroxethyl Urea, Disodum EDTA, Ethylhexylglycerin, Caprylyl Glycol, Pentylene Glycol, 1,2-Hexandoil, Ethyl Hexandiol, Phenoxyethanol, Fragrance. I was genuinely surprised after using these. After toning my face, my skin immediately felt soft. I continued with the rest of my routine; essence, serums, acne medication, and moisturizer. I woke up the next morning and my skin looked better than it has in a while. I have awful hormonal acne, and I always get clogged pores and huge zits on my chin. The crappy thing about hormonal acne is that it's usually unpredictable and you can only do something about topically to a certain extent. I've been trying my best to not get stressed out or worry about anything, but one little anxiety attack could mean 3 new pimples the next day. Skincare is the hardest topic for me to review because I'm impatient and tend to abandon ship when results aren't immediate. Of course, I often don't get those quick results. But there was something different about this peel. The first thing I noticed was that I woke up the next day with less bumps and redness on my chin. After using it for 5 days in a row, I saw that new acne wasn't forming and the raised zits I did have were considerably smaller/flatter. 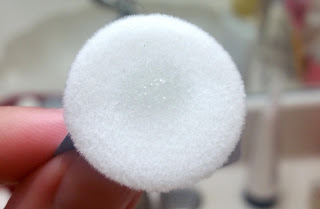 It reminds me of the COSRX exfoliants, but I would say more fun to use because they're in cute little pods. 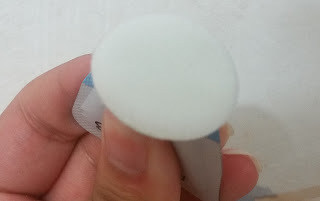 I have a bad habit of not using my COSRX products because they take longer to absorb, but the toning peeling tap was absorbed by my skin in less than 10 minutes. My only sadness with this product is that 15 individual little pods means you're obviously only going to be able to use them 15 times. This is a great gentle exfoliant, especially for those that have sensitive skin. My skin didn't dry up and start peeling, but instead I noticed a decrease in bumps on my chin. It definitely softens and clears the skin without being overly harsh. I can't say much about moisturizing since I have oily skin. While the results have been in my favor so far, I don't think I would repurchase this. And the only reason why I wouldn't buy it is because $20 is pretty steep for only 15 uses. Call me cheap, but I wouldn't mind getting this essence in a jar and just applying it with a regular cotton pad every night. You can cut open the pouch to decant, and get 2 uses out of it. But I'm lazy, and this product exists to showcase the "ease" of a single-use product that doesn't need cotton pads. All in all, I can use COSRX products that are lesser in price, stronger in terms of chemical exfoliants, and lasts me at least 3 months. I can sacrifice the shorter absorption time. 4 out of 5 thumbs up because my skin is feeling smooth and I appreciate that.